Last update (Jun 24, 2009): Leica D-Lux 4 ZIP archive of sample RAW + JPEG images for download at Imaging Insider. This page is a collection of photo samples taken with the Leica D-Lux 4, plus related image galleries, user pictures and other examples. This should help in determining if the image quality of the D-Lux 4 digital camera meets your expectations. Bear in mind that the majority of these photos have been re-sized for web presentation, and may have gone through post-processing, retouching or other edits. I just thought that it would be interesting to see, at a glance, what DLux 4 owners and users are shooting with their camera. 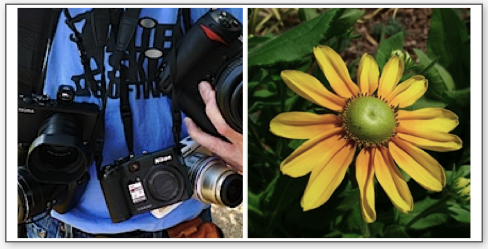 Leica D-Lux 4 ZIP archive of sample RAW + JPEG images for download — Courtesy of Imaging Insider. See the bottom of the linked blog post for the relevant file. Ramesh posted up a set of close-ups titled “First flowers of Spring 2009“, and shared that he found it more convenient to shoot such photos with a compact digital camera than with an SLR plus macro lens combination (a Canon EOS 5D and Sigma 150mm macro, in his example). View more at Ramesh’s D-Lux photo gallery. Four excellent D-Lux 4 photos have been posted by Angelo at DPReview. Two are long exposure taken at night, and the other two are black-and-white pics. The images have fantastic color and tonality, not to mention the interesting choice of subjects and composition. Angelo shared a tip on night exposures with the DLux: put the camera in M (Manual) mode and set the exposure for 2 seconds. View more of his photos at Angelo’s World on Zenfolio.